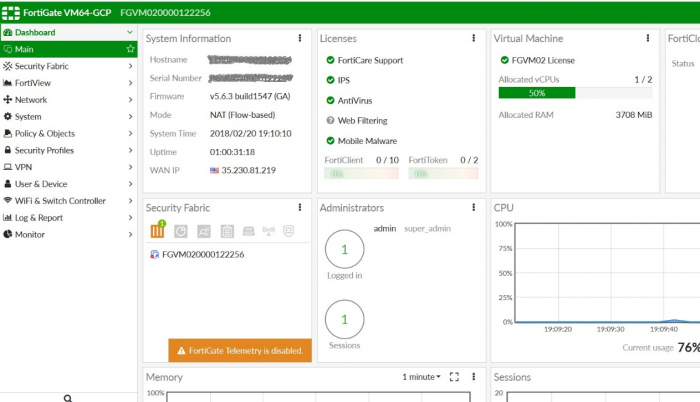 To connect to the FortiGate-VM, you need your login credentials and the FortiGate-VM's public DNS address. From the previous step, there is a temporary admin password automatically generated on the Google Cloud. Connect to the FortiGate using your browser. You will see a certificate error message from your browser, which is normal because browsers do not recognize the default self-signed FortiGate certificate. Proceed past this error. If accessing the FortiGate for the first time via the GUI (HTTPS, port 443) or SSH (port 22), you will see the disclaimer below. Note this appears when deploying FortiOS 6.0.2 or later. Click Accept. 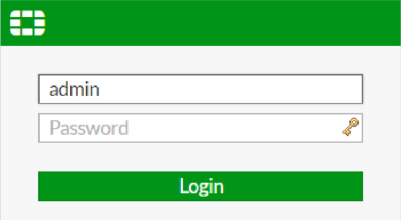 Log into the FortiGate-VM with the username admin and the supplied temporary password. 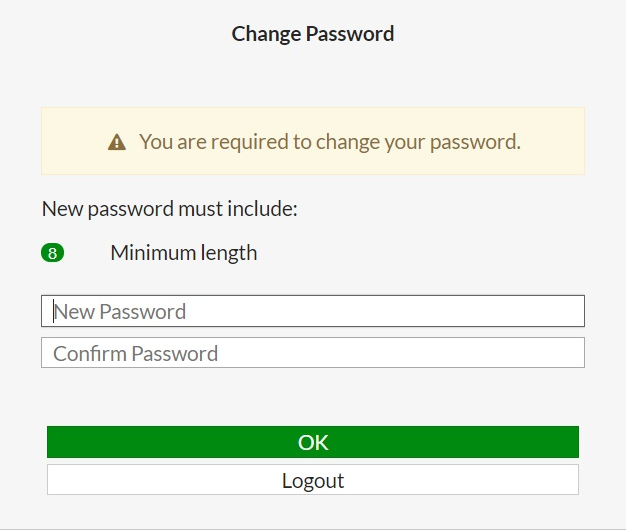 You are required to change the password. Change the password. 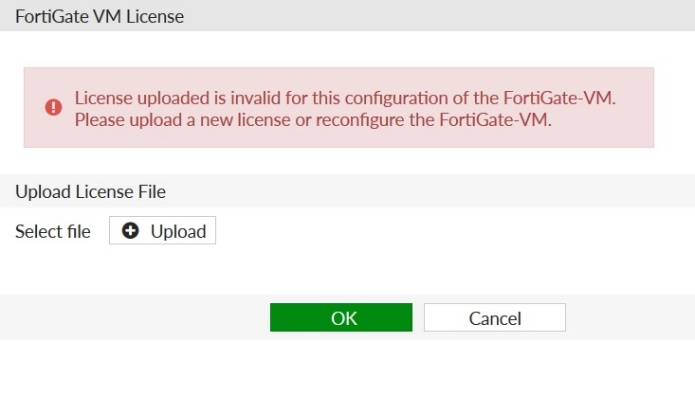 After logging in successfully, upload your license (.lic) file to activate the FortiGate-VM. The FortiGate-VM automatically restarts. After it restarts, wait about 30 minutes until the license is fully registered at Fortinet, then log in again. After you log in, you see the FortiGate dashboard. The information in the dashboard varies depending on the instance type. If deploying a version of FortiOS older than 6.0.2, you are encouraged to change the initial password as soon as possible after the initial launch, or to regularly change the password for all versions. 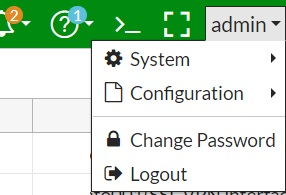 Click admin in the top-right corner to change the password.